Updated 16:18PM, Thursday November 8th, 2012	by Sam Hailes, Christian.co.uk Be the first to comment! What would happen if Christians moved onto the UK’s toughest estates with the sole purpose of sharing God’s life changing message in words and actions? This was the question that led to Eden; not Cornwall’s 'The Eden Project' or the popular Christian resources website, but the Eden Network - mobilising Christians to live and work in tough areas. So far its thrown 300 Christians in at the deep end. 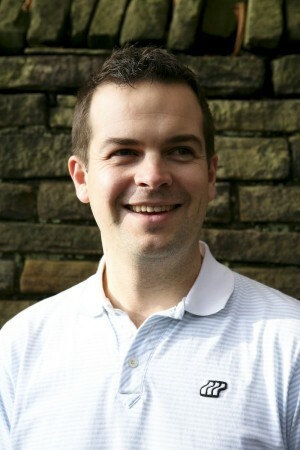 Matt Wilson, National Director of the Eden Network explains that ‘outside-in’ approaches to youth work were failing. The Message Trust realised that in order to make lasting change, an 'inside-out' approach was needed where almost daily contact with young people could occur. This could only be done by moving Christians into the heart of the deprived neighbourhoods where the young people lived. The early beginnings of the ministry are documented in Matt Wilson’s Eden: Called To The Streets. But the author says his new book brings the story right up to date and shows how Eden has grown beyond Manchester to found projects all over the North East and London. Concrete Faith also sees the author open up about past hurts. “We underestimated the cultural shift required in the mindsets of people who have been immersed in inherited church culture who then become immersed in a culture that’s very different: Poverty in neighbourhoods where nobody has engaged with church for generations. That’s incredibly challenging. Every Christian everywhere needs to say: ‘how am I in my daily life creating a more just world?" Matt believes that consumerism has infiltrated the Western Church, but says that Eden has been a "great antidote" to the problem. “What I see happening in UK and US Christianity is something of a reaction against secularism. "Part of the challenge is living authentically. We’re not Shane Claiborne - knitting our own clothes or anything like that, but living counter culturally is one of our core values so we’re very intentional about that." 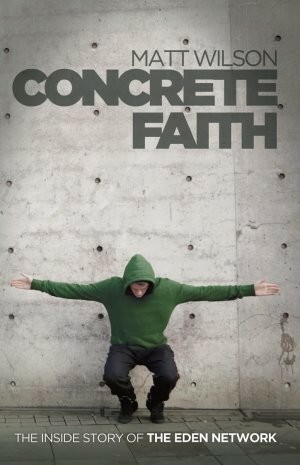 After a Facebook poll, Concrete Faith was considered the most suitable title for the book. Matt says the title is a play on words. “I worry that Christian faith in the 21st century has become so abstract its about beliefs, ideas, songs and [has become] some kind of aspiration of a lifestyle. That’s not what it’s supposed to be. “The opposite of abstract is concrete. The Bible is about real things in real places and supplying truths. Eden makes faith concrete; it puts faith in a real place, with real people and real problems. Those looking for a story that sums up what Eden is all about need look no further than this one about a girl [with whom] the team were working. “She was a very bright kid but fell into a very poor family. We see so many kids start off with great prospects but, because of the neighbourhood they are born into, so much mess happens. The dad did something stupid because he was poor and needed money. He ended up dying in prison. “Her mum got another boyfriend who was an alcoholic and started beating her up. So her teenage years were so turbulent. She was so bright but became so angry and began to fail at school. We just had to get around this girl and just make sure she was, almost every day, given an opportunity not to go further down that slope and [to] know there was always still hope. “Ultimately she found her hope in Jesus, but she was given practical help too. And the team that had moved in helped her with her homework. She left school with good GCSEs, got into college and got a job. She’s been taking driving lessons and is booking a holiday to Egypt. We helped her get a passport. Both of Matt’s books contain many more stories of transformed lives, proving that Eden isn’t just a nice idea, it’s a project which is seeing real and, yes, “concrete” change. “I love the fact that the spirit is stirring the awakening of a social conscience in the Church.” Matt tells me. But Matt adds a warning to this growing trend. It’s a challenge to take it personally and not just treat poverty as something at arms length that we can dabble in." Matt explains that Eden is not an individualistic pursuit. With a strong focus on teams, he argues that Concrete Faith will encourage Christians to work together.